Though Brad Pitt, Justin Bieber, and Stephen Hawking have all (allegedly) snagged tickets for Virgin Galactic’s first commercial space flights next year, it’ll still be a bit longer before our nation’s spaceports are as bustling as JFK or LAX on Thanksgiving weekend. 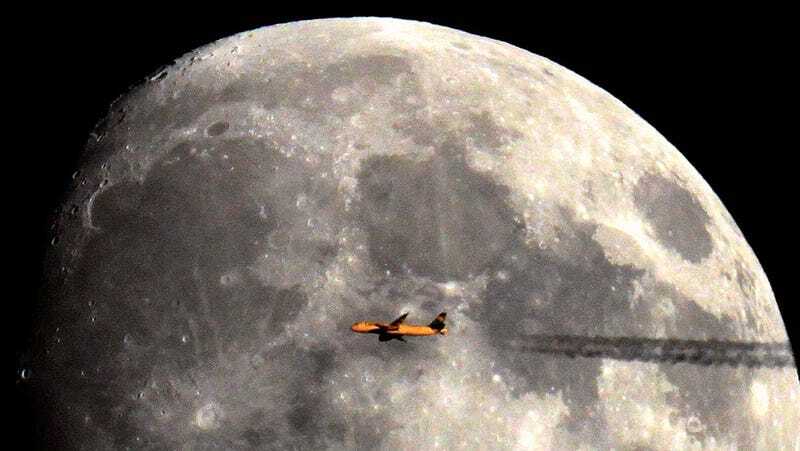 That reality seems less far off when viewing French photographer Sebastien Lebrigand’s images, which capture planes in striking silhouette against the sun and the moon. The effect is a strange distortion of scale and perspective; it looks as if these are snaps of in-progress galactic journeys, unlikely contrails and all.